If you want to invest a tax refund in your home this year, you may want to consider these four great projects that cost around $2,500. 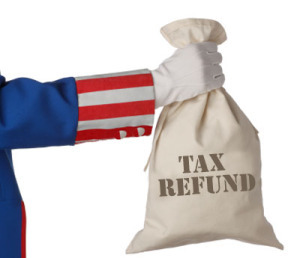 The question is “Why invest a tax refund in your home instead of a nice vacation for the family? Because just like most American’s your home is your biggest asset, so it definitely pays to take care of it-literally, says Local Records Office. Home improvements like water-saving dishwashers, solar power panels, and other green power appliances can increase your comfort and save you money, and add value to your home. The majority of homeowners don’t care how water gets heated, as long as hot water comes out when its time to shower. What many people don’t know is that your water heater deserves close attention, especially if it’s more than a decade old. 10+ years is when water heaters tend to fail, leaving you and your family with a wet disaster. Most water heaters could be replaced with a newer model for between $600-$1,400 installed. To make things easier, spend between $1,400 and $2,400, including installation, on a gas tank-less water heater. It takes up half of the space as the older model, lasts twice as long, and will save the average homeowner about $115 a year on water-heating costs. The standard pink fiberglass insulation saves the typical homeowners a lot of money over the years. In colder parts of the country like Ohio, getting an attic up to recommended insulation can work equally well, depending on your attic. The best thing to do is to get more information about a professional contractor. Lets put on our thinking hats; you’ll pay a contractor between $900 and $2,400 to insulate your attic. Costs vary based on square footage, attic accessibility, where your home is, and the type of insulation you will be using. Most of the insulation is tax refundable but excludes installation costs, the easiest thing to do is to tell your contractor to separate the material costs and labor costs on your invoice. Homeowners could really benefit from something so simple like replacing windows around the house. It’s also energy efficiency, aesthetically appealing, low maintenance, and high resale value. The downside is that those benefits come with a steep price tag. High-efficiency replacement windows that qualify for a federal energy tax credit cost between $400 and $900 a piece installed, so you’re looking at spending around $9,000 or more for the average house. Some so-called budget-minded homeowners can get similar energy savings- 10% to 35% off cooling and heating bills at a much lower price by opting instead for tax-credit-eligible storm windows. Most homes benefit from curb-appeal due to nice looking garages. Basic garage doors come in wood, steel, aluminum, and other material. A single-sided door could run up between $490-$1,490, that’s including installation. The double-sided door is more expensive and is between $700 and $2,400. The more expensive doors are the custom made doors and those will cost a pretty penny, usually $2,000 and up. Many garage doors are eligible for tax reduction, but you need to act fast because federal energy tax credits change most years. The garage doors must meet efficiency standards and the garage must be insulated. Imagine this, a tornado hits your town and you are without any power and water, and you’re left with no heat, the power lines are down and you have to wait until the power company comes and repairs the power lines. Estimated repairs: 2 -3 days. What are resourceful homeowners to do? Crank up the portable generator, that’s simple. We think about power generators when we go camping or when we are repairing something and need power but we never think about power generators when the power goes out after a storm. Standard generators cost about $400 and the heavy-duty generators cost in the thousands range. The larger the generator the more it could power on like the lights, refrigerator, TV, and smaller appliances.